If you want to boost rankings on your page, then you’ve come to the right place. This guide will walk you through increasing your SEO ranking this year. If you haven’t made your site mobile friendly, that’s how much online business you lost in February. Over half the web browsing performed in February 2018 was done on mobile phones. And that number isn’t new. It’s been steady since February 2017. Consumers today choose mobile first. So how does that affect your SEO? Well, Google noticed the mobile-first trend back in late 2016. Since then, they’ve moved toward using your website’s mobile version for ranking, parsing data, and generating snippets. If you want to increase your SEO ranking in 2018, creating a mobile-friendly website is only a tiny piece of the puzzle. You must understand all the particulars that search engines use to rank your site. By the time you finish this article, you’ll be familiar with all the essential elements search engines look for today. If you add them to your present SEO strategy, you’ll skyrocket your rankings within a year. Let’s first take a look at your site from a search engine’s perspective. What does a search engine do when a user punches terms into the search window? You can imagine these as little spiders. These little guys crawl around in your site and keep a detailed account of everything they find. They send that information back to the search engine. The search engine, in turn, stores that information as a sort of quick reference guide. It uses that guide to see later if your site is a match for a user’s search results. That’s why you’d better make darn sure that information is correct. Here’s the trick. You can create a sort of website outline for web crawlers. It’ll tell them how your website is structured, and point to critical elements. It’s called a schema. It’s a must for 2018. If you want to see how your data looks to search engines, use Google’s structured data tool and structured data report. Search engines focus their algorithms primarily on text. Their grasp of audio files and graphics files is a far cry from where it was ten years ago. But it’s a long way from perfect. Note we didn’t include meta descriptions. They’re still an important feature to attract user interest. But search engines no longer use them to determine your site’s relevance. If you need a helping hand, use a website audit. It will give you feedback on what your SEO looks like to a search engine. They’ll also offer helpful hints how you can increase your rank score. How well is Your Site Connected? A hyperlink is a link from one webpage to another. 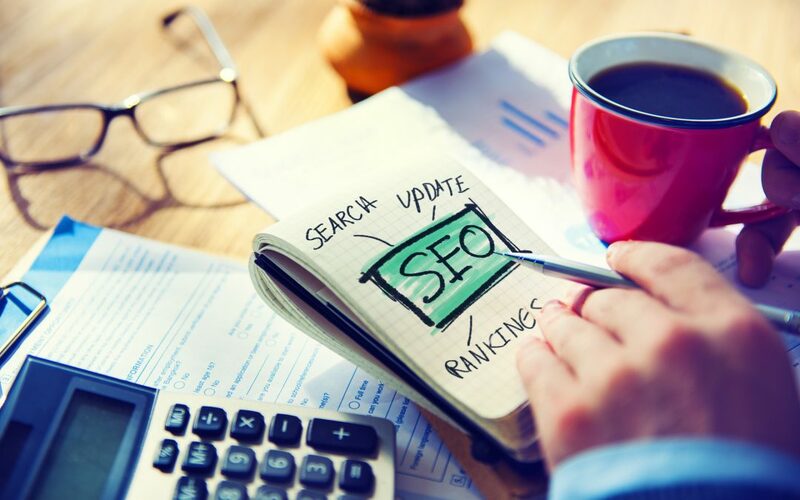 An optimal SEO strategy would include links from your website to authoritative websites. And from authoritative sites back to your webpage. So what’s an authoritative website? Some websites have more clout than others. Government (.gov) and education (.edu) websites are one example. Popular sites (especially those within your niche) are another. Essentially, search engines evaluate how the online community recognizes your site. If the highly-esteemed websites acknowledge you, you become part of the in-crowd. Inbound links: Your links to other pages on your website. The more links directed at a page, the higher it ranks in Google. Keep your inbound links to 2-3 per 1000 words. Outbound links: Links from your website to other websites. Search engines love when you recognize other sites, especially authorities. Include 2-3 of these links per 1000 words. Backlinks: Links from other sites back to your site. The more you can wrangle from authoritative sites, the better. See if any authoritative websites in your niche will offer you a guest blog post. Be sure never to pay for backlinks. If you have trouble building links, try Ahref’s link intersect. It’ll give you some recommendations on which sites are worth requesting a guest post on. Each major social networking site is an authority. Maintain a solid presence on at least one of these sites. Pick one that works best for both you and the audience you want to reach. Gain more popularity on social networking sites to increase your business website’s ranking. Load Speed: The faster your page loads, the less likely you are to lose an impatient visitor. Use a website speed test to evaluate your website. Rich Snippets: Google recently revamped the way it displays search results (SERPs). It loves rich snippets! Include them on all your pages. Videos: According to a study by Wyzowl, 72% of consumers said they prefer video to text. Offer them both. Voice Search: Comscore says that by 2020, 50% of all searches will be voice searches. Make sure you optimize not only for mobile, but also for voice. Write content your readers want to read. Don’t guess. Go to forums in your niche and find out. Update your content regularly and avoid copyright infringement. The Google overlords watch for both these things. It’s not a quick fix. It’s the best long-term solution to increase your SEO ranking. What strategies have you used to improve SEO? Let us know in the comments!